For a long time, wrestling has been labelled as “fake” and “campy” thanks to its Hollywood portrayal. Since certain big names in wrestling have gone on to further their careers in film and acting, perhaps, the industry has lost its shine in recent years. So it would seem pretty crazy that anyone would want to pursue a career in this sport – especially in Singapore. 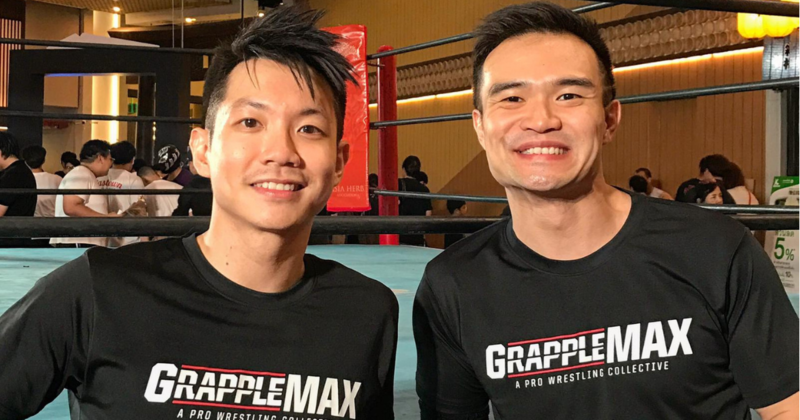 But not to these two pro wrestlers in Singapore, Dennis “The Ladykiller” Hui and “Greg Glorious” Ho, founders of Grapple MAX Dojo (Grapple MAX). Since he was four years old, Greg has been a pro wrestling fan thanks to his father, he told me. In 2012, he got injured in a car accident so serious that doctors reckon he may not be able to do even a light jog “ever again”. Not one to get beaten down so easily, Greg took up pro wrestling after recovering from surgery and rehabilitation. 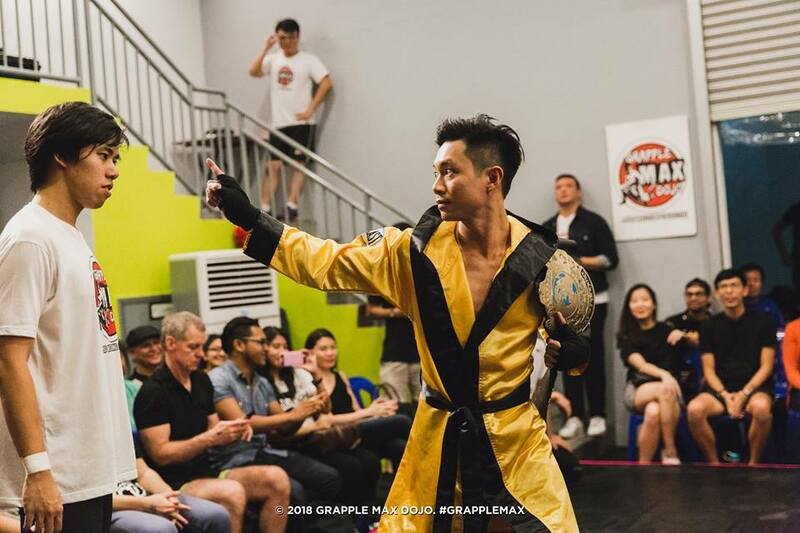 He wrestled recreationally in Singapore for two years then decided to hone his skills further with professional training. 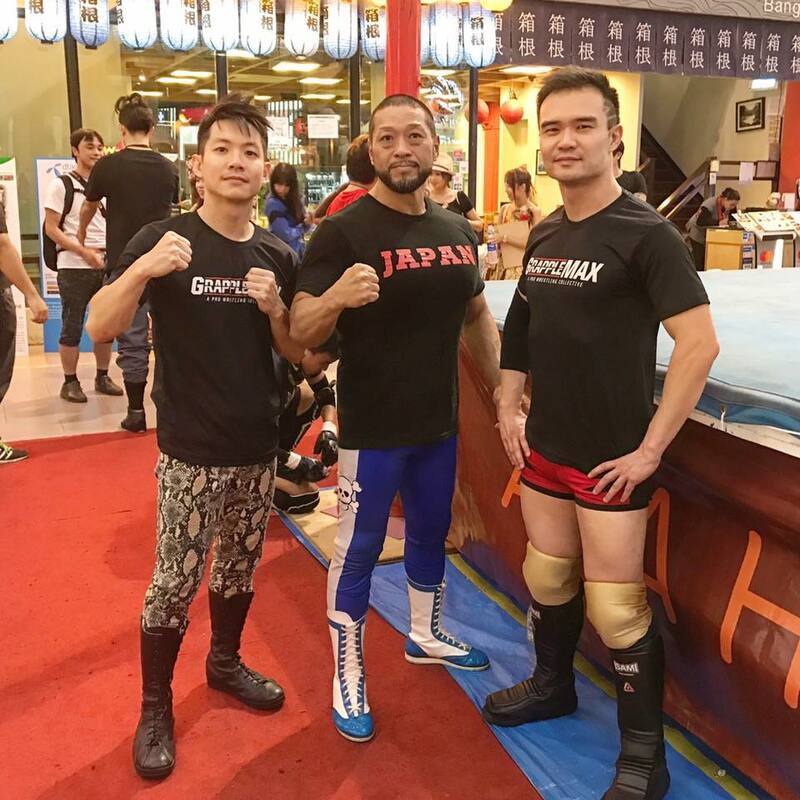 “It was around that time when I discovered that a recently-retired Japanese pro wrestler had set up a pro wrestling school in Vietnam. With enough savings to survive for a year, I quit my job and flew there to train for several weeks,” he shared. Greg, who had worked at Changi Airport Group for five years, never looked back since and has gone on to train in Japan on numerous tours and performed in five other countries in the region. 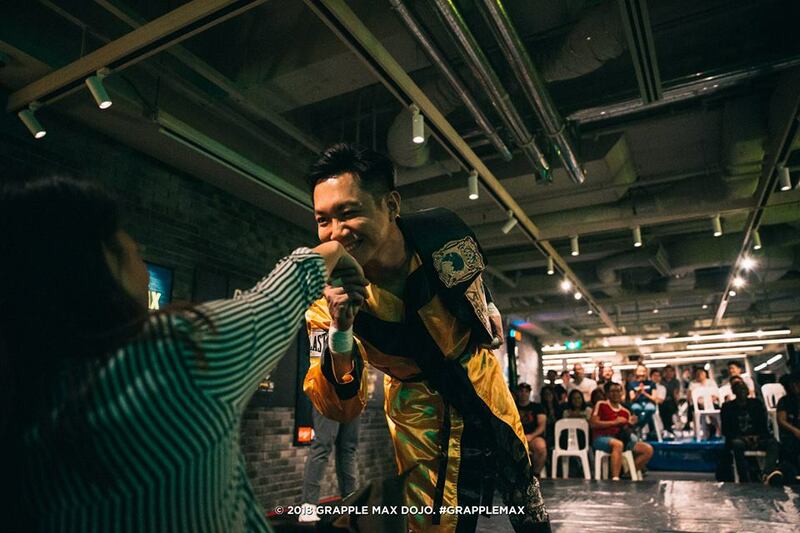 The 35-year-old is the first Singaporean to perform in the Michinoku Pro Wrestling, a renowned Japanese promotion, and the Malaysia Pro Wrestling (MYPW). 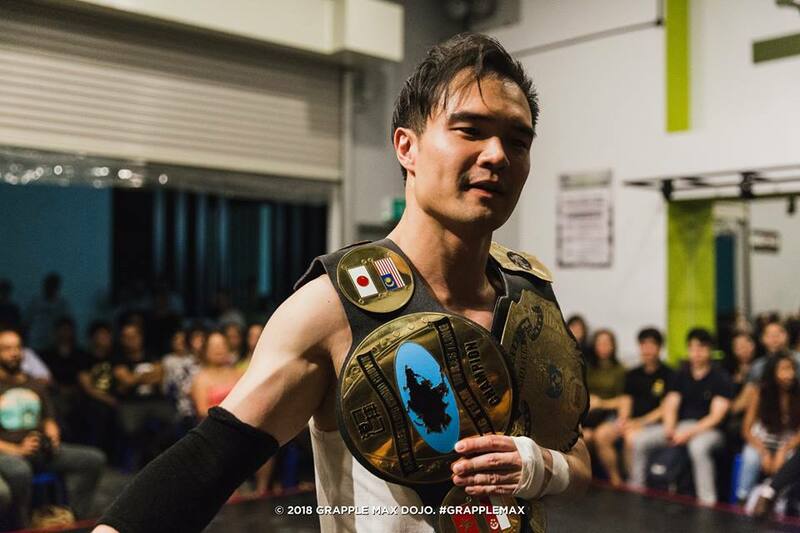 He has also represented MYPW and Hong Kong Wrestling Federation as their World Champion and Tag Team Champion, respectively, he said. As for 32-year-old Dennis, he was absorbed into the “universe of wrestling” as he found that it was the “perfect outlet for self-expression”. He believes it’s an exercise in personal branding; from customising his identity or avatar and his wardrobe to his signature manoeuvres to his entrance music. His entrance to the pro wrestling scene was smooth-sailing as he found some initial success with a number of easy wins at the start of his career, he shared with me. So he decided to seriously focus on becoming a pro, and he’s now the Wrestle Square (India) Cruiserweight Champion and former Extreme Champion of MYPW. By the end of this year, Dennis will have toured six countries. When asked how they met, Dennis said that they were opponents in a wrestling match once. Niche activities like mixed martial arts (MMA) and pole dancing have achieved mainstream status, so why not pro wrestling, Greg thought. So they turned their visions into reality and established Grapple MAX in 2016. Dennis left his job as a bond trader in a hedge fund and now does cryptocurrency portfolio management as his day job while overseeing marketing and brand strategy at Grapple MAX. He is responsible for the social media and creative direction for Grapple MAX, maintaining their clean and modern visual style, and ensuring their online content gets posted regularly. 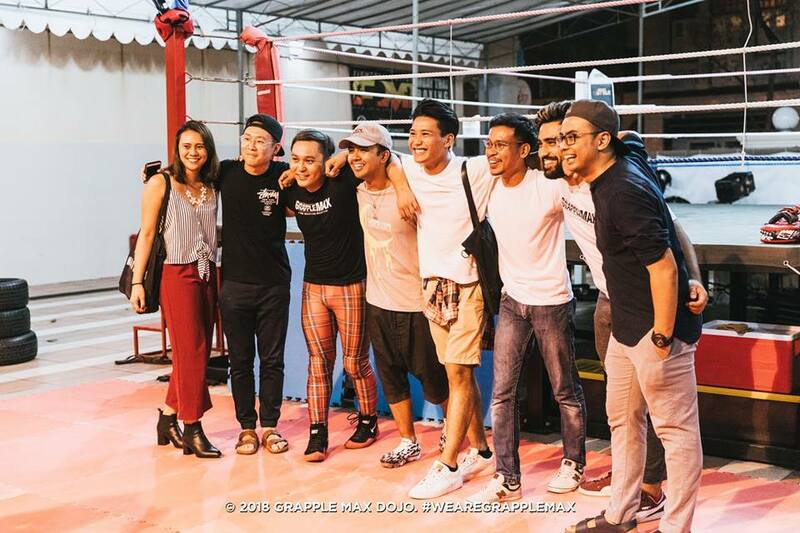 Thanks to their digital marketing presence, pro wrestlers from countries like Dubai, Hong Kong, the Philippines, and Malaysia, among others, have come to train with them Dennis said. On top of shaping Grapple MAX’s overall direction, Greg is also the head of business development at an ed-tech (education-tech) startup. Greg holds a Bachelor’s degree in Life Sciences from the National Technological University (NTU) and an MBA from the Singapore Management University (SMU), and spends most of his time outside the dojo bringing on partners and sponsors. He’s in charge of conceptualising and planning Grapple MAX’s monthly pro wrestling events, overseeing the day-to-day operations, crafting and updating their very own training syllabus, and managing the dojo’s finances. As with all businesses, it begins with knowing if there’s a demand for a product or service. “Looking back, they were right to think so. There wasn’t yet a compelling success story on the market; we had to build a proof of concept for our proposed business,” Greg said. So they took a step back and reviewed their entire cash flow projection, revamping their whole model and slashing each item by about two to three times, he explained. With that, Grapple MAX was founded with a total capital of $20,000 contributed by three shareholders, including Greg and Dennis. “We have taken no bank loans and not raised further funds since launching in 2016, because revenue covered overheads almost as soon as we began operations,” Greg declared. With the funding issue resolved, they tackled the problem of creating demand for pro wrestling in Singapore. Learning and utilising the business tools on Facebook helped them greatly in reaching their target audience. Despite facing some setbacks, the duo says they’re lucky to have supportive family and friends when they set out to start a wrestling dojo. Dennis shared that his mother is understanding as she is self-employed, and his sister and friends would show their support by attending shows when they can make it. “Some of my more adventurous friends even attend classes to experience for themselves what wrestling is like,” he added. In his startup journey, he learnt that it’s important to reassure people who care about him by setting clear goals and following up with them at each milestone. “Entrepreneurship’s scary at times, but I prefer not to share the uncertainty with those around me!” he quipped. For more than 20 years of my life, I believed that the feuds between the different wrestlers on television were real until someone told me that they’re all staged. In that discussion, I learnt that wrestling has gained a reputation for being too simulated. 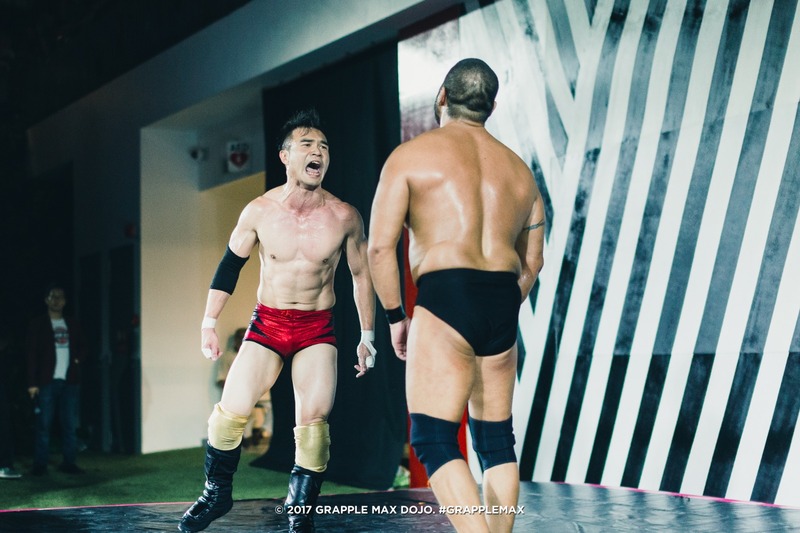 When I asked the founders what’s the difference between puroresu, the Japanese-style pro wrestling practised at Grapple MAX, and the WWE depiction of wrestling, Dennis laughed. “This is a funny question. In fact, some fans classify my style as campy and fake. 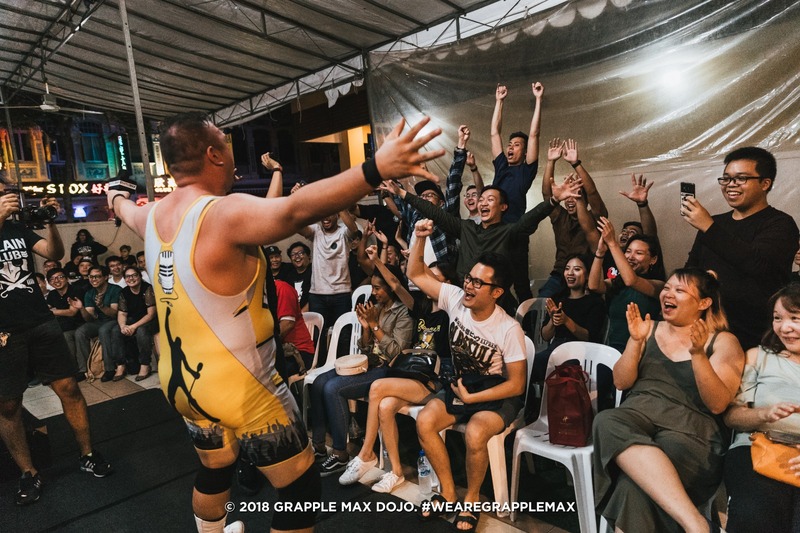 [They] lump me into the WWE category, while Greg is [seen as a professional wrestler] — or Singapore’s number one puroresu-style grappler,” he continued. “Puroresu is Japan’s interpretation of pro wrestling [and they consider] the sport to be an athletic contest between two opponents. It is hard-hitting and intense, focusing on technique and fighting spirit,” Dennis explained. Greg further described that WWE and puroresu are essentially about conveying a narrative but the difference is that WWE typically does it through skits and monologues while Japanese companies lean towards in-ring storytelling. 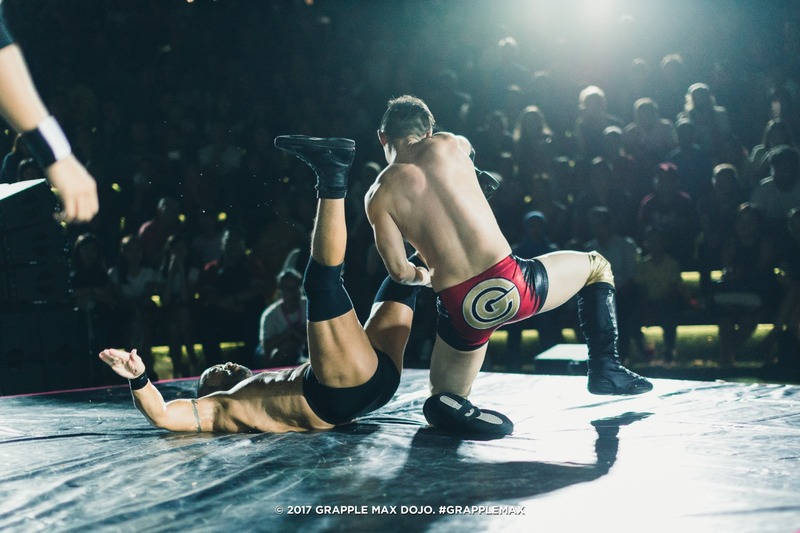 “For Grapple MAX, we chose the latter approach as it offers us a differentiated identity that is reflected in everything we do – how we train, and how we present our shows,” Greg said. Besides their Japanese-inspired training syllabus and methods, they are heartened to see their audiences adopting the Japanese custom of throwing streamers when cheering or celebrating at major events. I was given the opportunity to experience it firsthand at Grapple MAX’s first-ever ring-side match in September. After the opening was done and the first wrestlers made their grand entrance to the ring, I was hooked. They executed amazing wrestling moves after moves, from the overpowering double-rebound clothesline (I Googled this) to the acrobatic variations of the suplex. By the end of the show, I had a newfound respect for the sport. “Wrestling as a spectator product does not need to be enjoyed in the context of a ring. That’s a traditional paradigm,” Dennis shared. To make wrestling even more accessible to the masses, they did away with the ring and the ropes, performing their art on mats. Their model makes them mobile enough to put on shows in offices, restaurants, and universities. “It is still the same craft, except adapted to become more intimate and close up!” Dennis said. Greg shared that when he was training in Japan, he discovered the diverse types of pro wrestling there. He believes that to achieve that level of market penetration, they have to present unique benefits to their audience and having them understand why wrestling is relevant to them. So he took what he learnt in Japan and tried it out in Singapore. 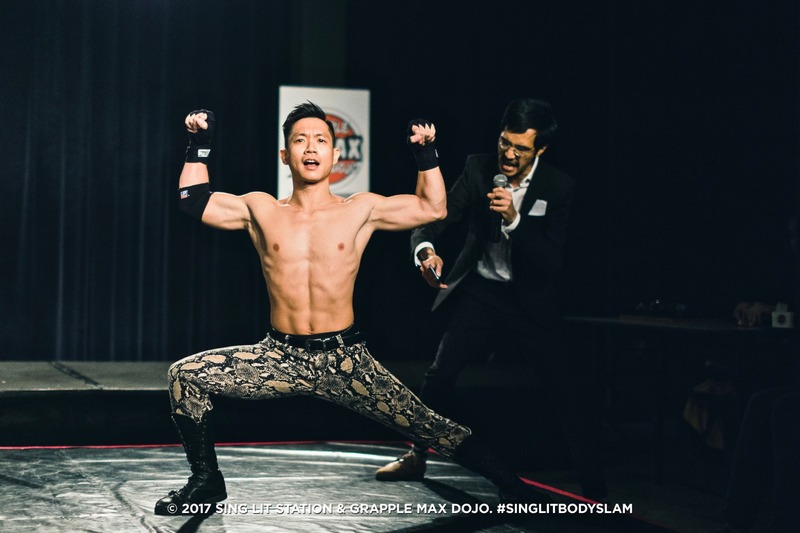 Last year, Grapple MAX collaborated with a local literary non-profit community in an event called Sing Lit Body Slam — think wrestling meets poetry slam. The audience at Sing Lit Body Slam was about 80% non-wrestling fans, according to Greg. “[By] the end of the night, both [these non-wrestling fans] and the wrestling fans in attendance were trading wrestling chants!” Greg enthused. 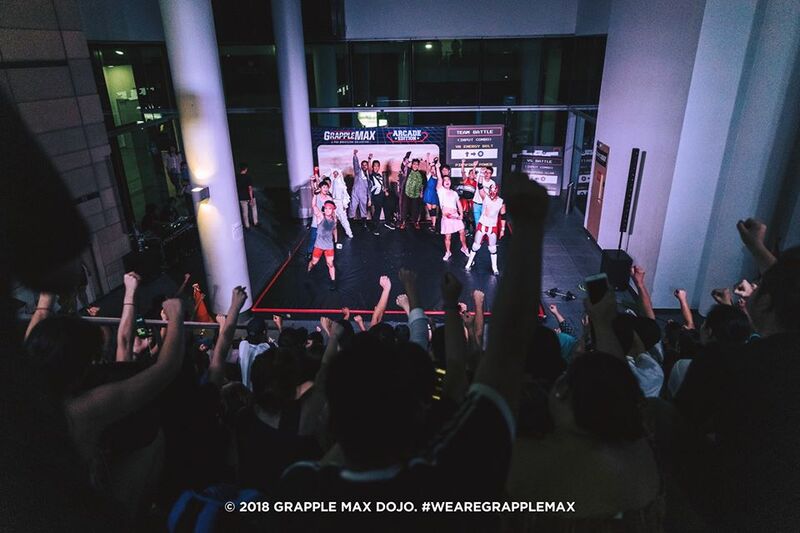 This year, following that success, Grapple MAX put up an exciting arcade, wrestling-style street fighting-themed performance at the Singapore Night Festival. 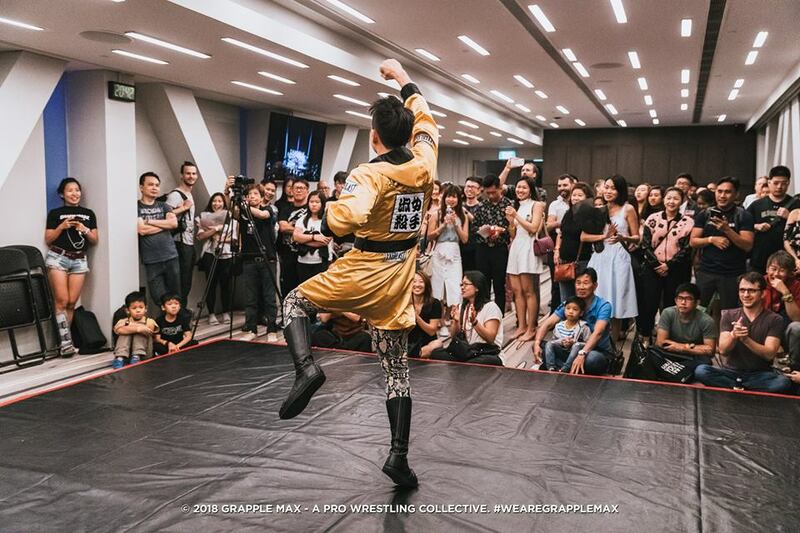 He understands that targeting existing pro wrestling fans in Singapore wouldn’t be enough to generate sustainable demand, so a big goal for the dojo is to grow the market. They’re always looking out for potential collaborators who can present their art in “disruptive new ways”, Greg expressed. “These events are now a staple of the Grapple MAX experience, and we’ll continue to pursue these well into 2019,” he added. 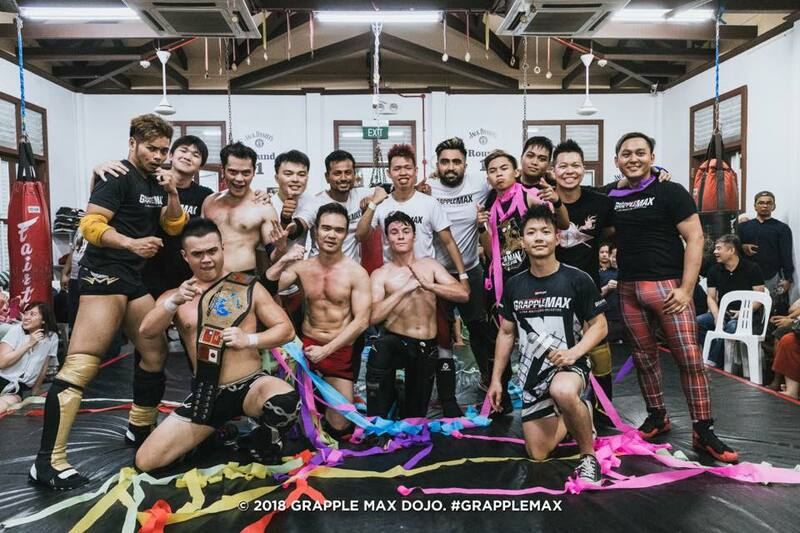 Grapple MAX describes themselves as a pro wrestling-themed fitness school that aims to help their trainees achieve their objectives, whether it’s to get in shape or to be more confident in front of a crowd. Since starting up two years ago, they have almost tripled the number of trainees per session and the frequency of classes has gone up from twice to thrice a week. Their trainees’ ages range from 16 to the 40s, comprising both males and females, and come from a diverse range of backgrounds; from PMETs to entrepreneurs to students. “[Many] of them have taken it up primarily as a lifestyle activity, boosting their confidence and fitness; the desire to become an actual performer is a secondary goal,” Greg shared happily. Their monthly ticketed shows consistently attract full-house turnouts, and by the end of this year, they’ll have organised about 20 performances since their inaugural show in April 2017. 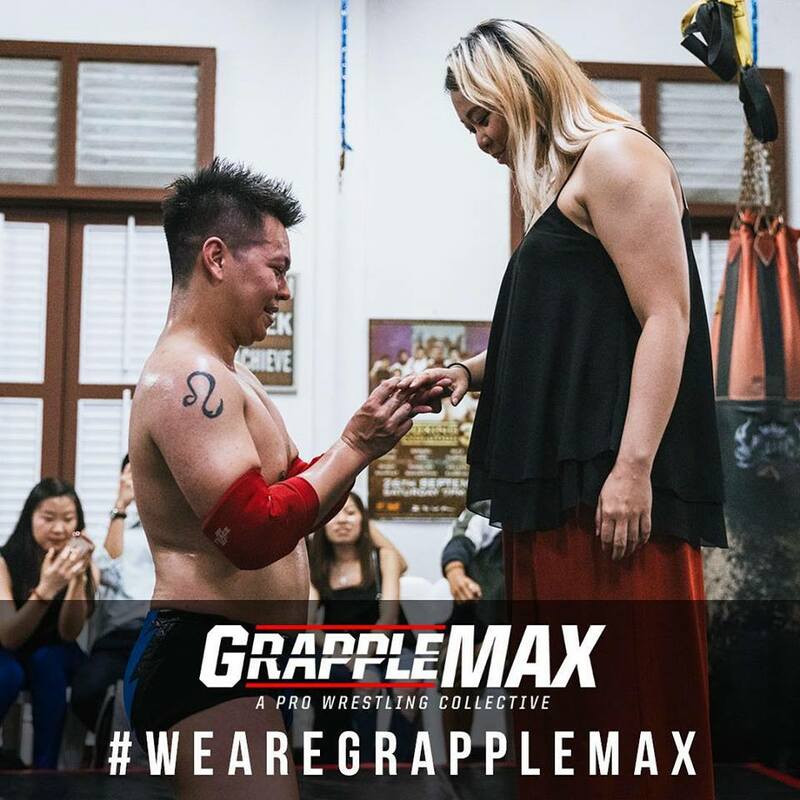 Grapple MAX also runs private bookings for engagements like bachelor and birthday parties and has also been approached by several corporate clients for both training and performances. When they gathered feedback from their trainees at the end of the dojo’s first year of operations, Dennis was moved by the “overwhelming number of responses that talked about the personal [developments]” they went through. “Our trainees weren’t even [discussing] about the wrestling skills they had learnt [at all]. Instead, they were talking about overcoming depression, conquering stage fright, restoring self-belief, cultivating leadership, etc. — all really powerful stuff,” he recounted. Greg and Dennis intend to leverage on their hard-earned reputation as industry innovators and thought leaders to create more international collaborations, like getting ASEAN wrestling summits to be hosted in Singapore. Through these collaborations, they hope to drive sponsorships and open up more revenue streams to keep Grapple MAX going. 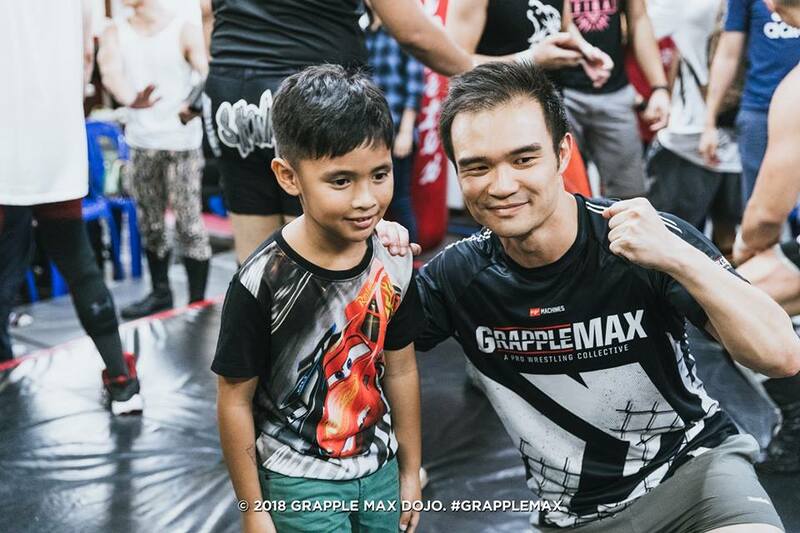 As the demand in the market and Grapple MAX’s recognition as the “premier training school” increase, they aim to develop their syllabus to a point other schools see value in adopting their curriculum. 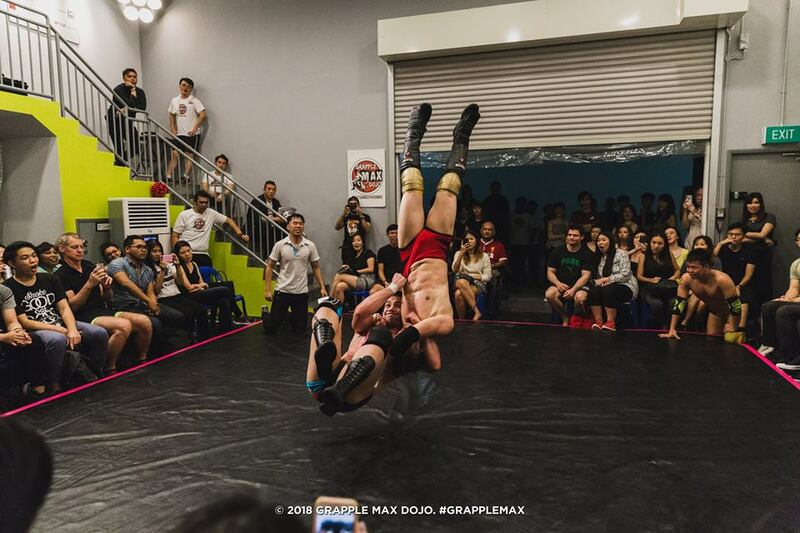 Greg is planning to establish more opportunities for their senior students to gain further experience, adding that to date, they have had three Grapple MAX trainees debut overseas. 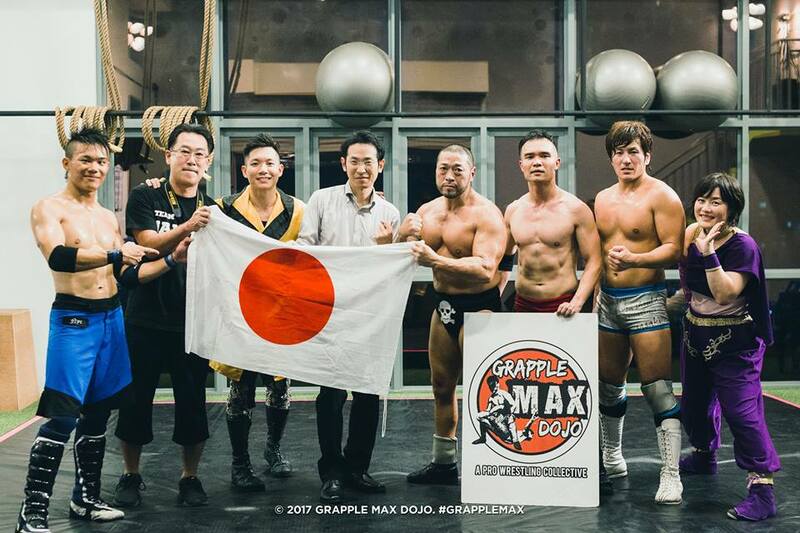 This month, about another five more will join their ranks as Grapple MAX becomes the first company to put on their own pro wrestling show in Japan, jointly organised by the Michinoku Pro Wrestling promotion. 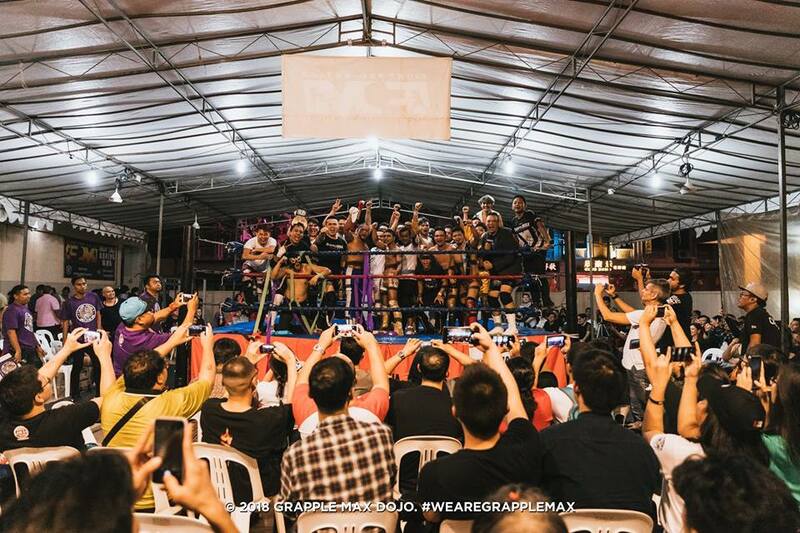 Then in December, Grapple MAX will be organising Singapore’s first-ever Pro Wrestling Carnival. “We foresee a future where pro wrestling is regarded as a viable lifestyle activity for everyone, whether through training or watching our shows,” Greg told me. “We also want to generate sufficient demand for pro wrestling to be a sustainable source of revenue for practitioners who want to take this up as a career,” he added. Check out Grapple MAX here, and follow them on Facebook here and Instagram here.